Order the book from the publisher’s website. Chapter 3 of Rock and Romanticism: Blake, Wordsworth, and Rock from Dylan to U2 is “William Blake: The Romantic Alternative,” pp. 35-50, by Douglas T. Root, Assistant Professor of English, Claflin University. Douglas Root’s “William Blake: The Romantic Alternative” argues that grunge rock figures such as Kurt Cobain are poets parallel with William Blake though living in different ages. While their aesthetics differed greatly, both Blake and grunge musicians were engaged in a project of conscious and deliberate dissociation from the work of their predecessors. In their thinking, each narrowed the options for relationships with their poetic predecessors to being either stupidly imitative or deliberately progressive. Root further argues that both were steeped in a working-class ethic, grunge inventing the Northeastern lumberjack version of post-urban authenticity in the late 1980s and early 1990s, and that both were engaged in a reaction to and escape from urban decay that was exacerbated by disillusionment with the possibility or authenticity of escape. Both were anti-capitalist, particularly pushing against industrialism and consumerist culture, and both were iconoclasts, grunge breaking with 1970s’ punk and classic rock in a way comparable to Blake breaking with his eighteenth-century predecessors. 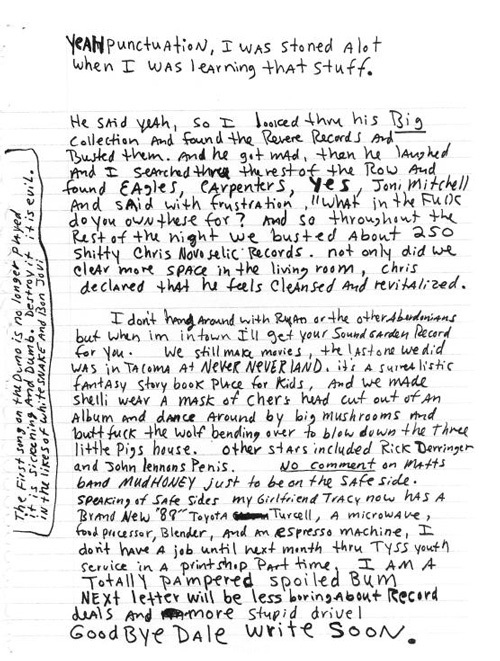 I confiscated a Sub Pop Records iTunes playlist that covers a representative sample of the music discussed in this chapter and then added a couple of songs discussed in this chapter that’s not on that playlist. The author would like to draw attention to this March 14, 2018 podcast featuring the Stone Temple Pilots, which draws attention to many features of his argument in this chapter. Unfortunately, it was released too late for inclusion.